Command #1 & 2 - LED blinky! Command #3 & 4 - Let's move! 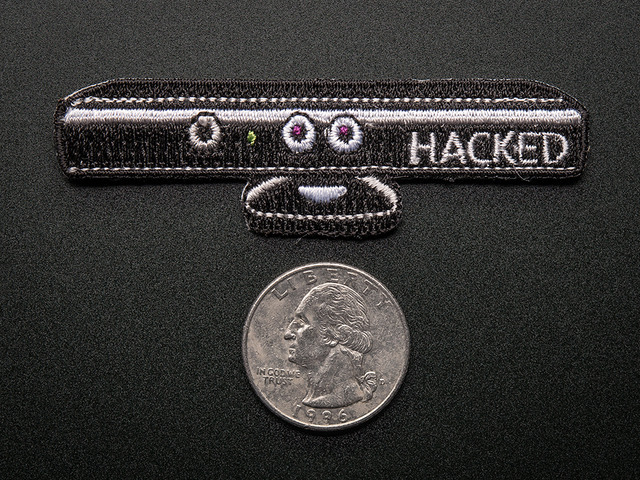 Everyone has seen the Xbox 360 Kinect hacked in a matter of days after our "open source driver" bounty - here's how we helped the winner and here's how you can reverse engineer USB devices as well! USB is a very complex protocol, much more complicated than Serial or Parallel, SPI and even I2C. USB uses only two wires but they are not used as 'receive' and 'transmit' like serial. Rather, data is bidirectional and differential - that is the data sent depends on the difference in voltage between the two data lines D+ and D- If you want to do more USB hacking, you'll need to read Jan Axelson's USB Complete books , they're easy to follow and discuss USB in both depth and breadth. USB is also very structured. This is good for reverse engineering because it means that at least the format of packets is agreed upon and you won't have to deal with check-sums. The bad news is it means you have to have software assistance to decode the complex packet structure. The good news is that every computer now made has a USB host core, that does a lot of the tough work for you, and there are many software libraries to assist. Today we're going to be reverse engineering the Xbox Kinect Motor, one part of the Kinect device. There's a bunch more stuff like USB keys and such installed but this is a good starting point. Note that the Kinect is actually 4 USB devices - a hub, a camera, a microphone (audio) and a motor. The hub is just an easy way for the device to combine three separate chips into a single cable. We'll be investigating the Xbox NUI Motor since its the simplest. Note the Vendor ID = 0x045e and Product ID = 0x2b0. Every type USB device must have a unique VID and PID. The VID is the manufacturer. In this case, 0x045e is the VID for Microsoft. All Microsoft products will have that VID. Each product has a different PID, so all Kinect Motors use PID 0x02b0 this doesn't differ between two Kinects, they'll both have the same PID. The VID/PID are used as a way to have the proper driver find the product. Its a lot better than serial COM ports because COM ports change names but VID/PID are burned into the device firmware. Let's see what we've got. You can see the VID and PID up there. Next we'll look at bNumConfigurations (how many different descriptors we have) and lucky for us the number is 1. Next, look at the Interface Descriptor in particular, bNumEndpoints which is 0. This means there are no Endpoints. Control Endpoints are this weird not-quite-an-Endpoint Endpoint. They are used to transfer small amounts of data to say turn a device on or off. They're very 'cheap' to develop, and every device has one even if its not mentioned. For example, a serial port may have two Interrupt endpoints for transferring data in and out and then a control endpoint for setting the baud rate. For more details we really do suggest reading everything at janaxelson.com about USB as it's complex. This motor device has no Endpoints, but that doesn't mean you can't communicate with it. It just means it only uses a bidirectional Control Endpoint. This isn't surprising, motors are slow and don't require a lot of data to control. This device has two Isochronous endpoints both of which are IN type (data going INto the computer). 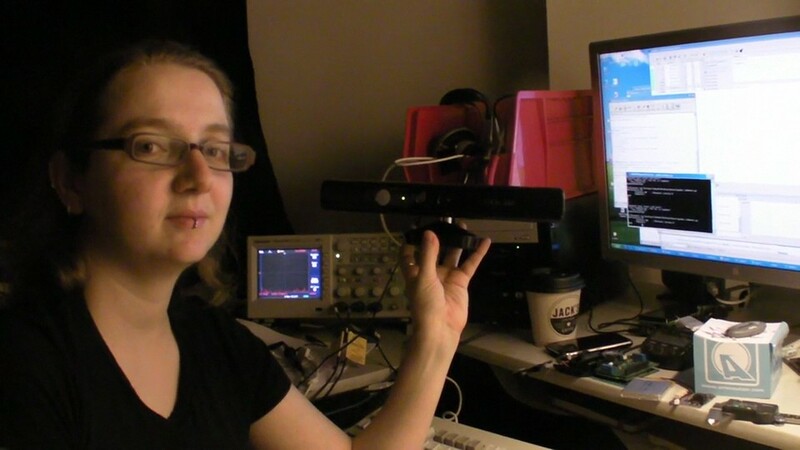 This makes sense: the Kinect has a IR depth camera and a normal VGA camera. Two cameras, two Endpoints. Of course, there is also a Control endpoint not mentioned here, the Control endpoint could be used to set stuff like aperture, gamma correction, any sort of built-in filter, etc. OK so back to our motor. We are ready to start sending data to it via the Control endpoint. For Mac and Linux type computers, a driver isn't necessary to send or receive data directly via USB. For windows, however, there must be some sort of driver to 'grab' the device for us. Usually drivers are complex and have like, interfaces that plug into the operating system. Like the cameras would show up as a camera device, the microphones as an audio device. We're not quite ready for a detailed driver, what we'll do is make a 'shell driver' which has no operating system capabilities but does let us send commands to it from software. Again, Mac/Linux people have this built into the OS kernel so skip this part if you don't use windows. For our shell, we'll use libusb a USB library, which is available for windows as libusb-win32 go there and download it. The important part is entering in the matching VID and PID we found before. Now when you plug in the Kinect, it will attach itself the the LibUSB-win32 device driver. We didn't make matching drivers for the audio or camera so those are still driver-less. Now we need to start sending commands to this USB device! The fastest and easiest way we know to do this is to use LibUSB with a scripting language such as Python. There are LibUSB bindings for C and C++ and Perl but I happen to like Python so follow along! If you don't have python installed, do that now. This command can do both sending and receiving depending on what bmRequestType says (input or output). Still, there is a lot of options here. To send the right command you need to know theRequestType and the right Request and ther right Value as well as the Index and how many bytes to read or write. Bits 2, 3 and 4 are reserves so set them to 0. The safest thing to do is read data (no way to overwrite anything or configure) you can do that by sending packets with 0b11000000 (Read Vendor data from Device) = 0xC0. OK lots of data, but what does it mean? This is where some guessing based on the device itself would come in handy. I'm terribly lazy though and if given an option to avoid a lot of guesswork, I'll take it! 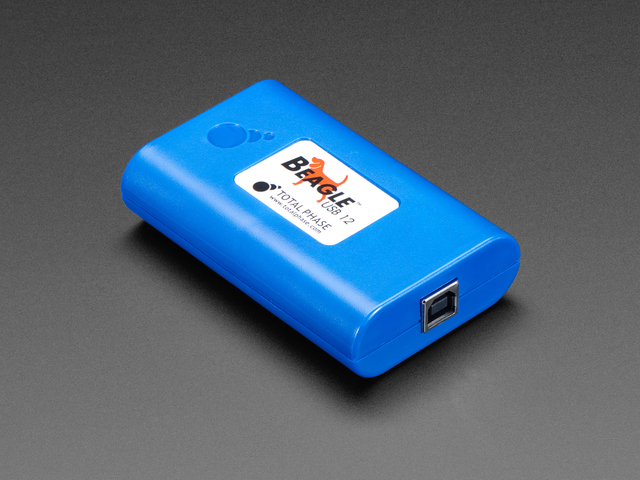 The USB analyzer acts as a 'tap' that plugs in between the Xbox and the Kinect. A computer is conneted as well. The computer receives all the data being transmitted into memory and logs it. From left to right there is a DIN connector, USB A connector and USB B connector. The Xbox connects to the USB B and the Kinect connects to the USB A. The DIN connector is for other kinds of data sniffing (like SPI or i2c). The best way we've found to get the right data is to make sure to get even the 'enumeration' (initialization) packets so plug in the listening computer and start up the software. Then plug in the other end to the devices you want to sniff. Make yourself a sandwich, its a big file! OK now that you've eaten, lets open up the enuminit.tdc file. This is the full enumeration and initialization. Remember that when we log the data, there's a lot of it that we can then pare down! If you click on Unconfigured device (0) you'll see that it was not captured. This is probably because I jiggled the cable when inserting it so it started to create a device and then got disconnected. Its not important. Click on (1) This device is a Class device type USB Hub. That's the internal hub. We can ignore this as well. Device #4 has a PID of 688, that's in decimal. If we convert it to hex we get 0x02b0 - this is the Motor device! Now we can filter so that only this device's logs are shown. Our log screen is much shorter now. You can see that there's some initialization and then just two repeating motifs: a 1 byte message alternated with a 10 byte message. Go to the LiveFilter and select Host-to-Device. Command 1 has a bRequest of 0x06 and a wValue of 4, the wLength is 0 which means no data is written, the entire command is the Request and Value. Command #2 uses the same bRequest but with a different wValue of 0x01. Command #3 is a different bRequest of 0x31 and a wValue of 0xffd0. Command #4 is the same bRequest and a wValue of 0xfff0. We ran our python code and…nothing happened! We ran this command and the motor didn't move but the LED stopped blinking. For fun we ran the previous command again and the LED started blinking again. Now we have an idea: maybe this bRequest 0x6 controls the LED? On your own, continue this line of thought by trying different wValues from 0 on up to see what other wValues do, keep track of them all in a notebook or project file. Running the python script made the motor move its 'head' down. This makes the head move up. Now we have both the motor and LED under our control! Here is a video we shot a few minutes after getting the motor working, using a python script to move it up and down. The 7'th byte changes a lot right after we send it that bRequest 0x31 (motor movement). That implies that this data read is somehow affected by the motor, possibly a motor feedback byte? Checking out a tear-down of the device (from iFixit) we see that there is an 'inclinometer'/accelerometer (Kionix KXSD9). The datasheet indicates it is used for image stabilization, and it has 3 axes (X Y and Z) with 10 bits of data per axis. Shaking the Kinect while running the script you'll see clearly that the data changes with movement. To identify the accelerometer axes, rotate it only one way at a time and note what changes. You can also see how this data is in bytes but the accelerometer data should be a signed word because there are flips from 0xfff7 to 0x0007 which would indicate a negative to positive conversion. Now when you run the script you'll see the signed data appear properly. 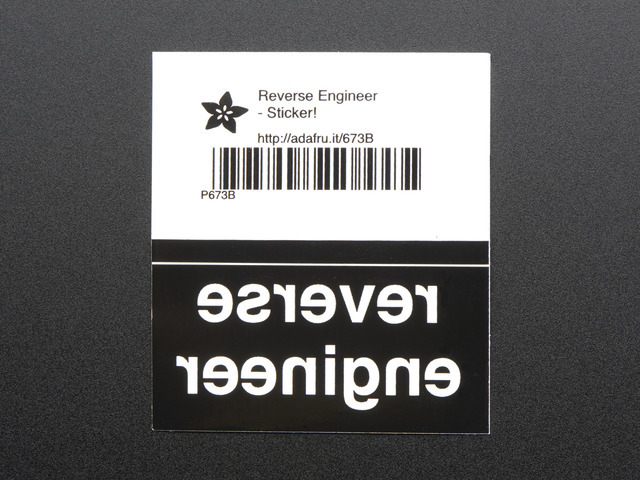 We hope you enjoyed this reverse-engineering tutorial. For more information about Open Kinect, please visit the github repository and google group.